Rather than pay a levy on the sale of their drinks, manufacturers want to find ways to reduce the sugar content, and in turn, the calorie content, but without compromising the taste of the final product. Traditional “diet” drinks have been popular across the globe since the 1980s but they have fallen out of favour in recent years due to the artificial sweeteners that they contain. Once the darlings of the beverage industry, with high growth rates and even higher consumption rates, consumers no longer want to consume artificial ingredients. Not only have such ingredients fallen out of favour for their “artificial” label, but there has also been much speculation and controversy surrounding the possible detrimental health effects of artificial sweeteners, namely sucralose and aspartame. Sales of Diet Coke and Diet Pepsi, the world’s most popular diet drinks have been falling for several months. In the third quarter of 2015, sales of Diet Coke fell by 8%, while sales of the company’s flagship Coca-Cola grew by 1%. PepsiCo has announced the reformulation of its Diet Pepsi brand that does not contain aspartame. It isn’t primarily the “diet” versions of soft drinks that manufacturers are looking to reformulate. Their biggest demand currently is the reformulation of their “full sugar” varieties so that the overall all sugar and calorie content is reduced, but, crucially, the taste remains the same. As well as this, today’s consumer wants to avoid artificial flavors and sweeteners in all categories, not only soft drinks. It’s no easy task but with major food manufacturers such as Mars, General Mills, Kellogg’s and Campbell’s pledging to remove all artificial flavours and colours from their formulations in the long-term, the pressure is on to find alternatives. This is going to be easier in the US and Asia, than in Europe, say many industry experts. And the reason is that many of the natural high potency sweeteners that are used as an alternative to sugar currently are not approved for use in European food products. The most popular of these are allulose, monk fruit and erythritol, the latter having gained approval for use in non-alcoholic beverages in March 2015, but only in relatively small amounts that would not make a significant difference in reformulation. Perhaps the best known and most used natural sweetener is erythritol, which is a bulk sweetener that is not absorbed by the digestive tract and so it does not contribute to calorie intake. Almost as sweet as sugar, this natural sugar alcohol occurs naturally in many foodstuffs such as pears, watermelon, grapes and soy sauce. It does, however, have rather a bitter aftertaste, and so manufacturers often use it in combination with other sweeteners. Erythritol has been approved for use in foods in the EU since 2006. Massively publicised stevia is also gaining in popularity. It is extracted from the leaf of the Stevia rebaudiana and has an intense, sweet flavour, but also carries a bitter aftertaste. Stevia is approved for use in foodstuffs in both Europe and the US and is gaining in popularity as a “plug-in” sugar replacement. Many manufacturers are now using erythritol and stevia in combination in order to reduce sugar and create a taste that consumers will accept. US-based Steviva Ingredients has launched a stevia product that is mixed with allulose, which is considered by many to be the hot new sweetener for those looking for a low-calorie, natural sweetener. As a rare sugar, but with very low calorific value and a natural plant source, chemists have been trying for decades to find ways of processing allulose on a large-scale, large enough to allow big food processors to use it to replace sugar. Professor Ken Izumori at Kagawa University in Japan first discovered the enzyme to synthesise allulose from fructose, which is abundant; the technology and the method to develop the sweetener. Allulose is currently not permitted for use in Europe, but Matsutani, which has been instrumental in the development of allulose does see that changing in the near future. “EFSA is more conservative when it comes to permitting new products. However, allulose is currently consumed naturally already, so I believe that it is safe as a food ingredient. EFSA processes are longer because of careful review means that this product is significant,” says deputy research and development manager Yuma Tani. 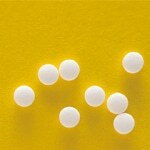 The applications for which allulose can be used are vast. It tastes just like sugar, according to Matsutani, and can be used in a 1:1 ratio, while the caloric value is significantly lower. Tani says that this sweetener will be best suited to the beverage market, as well as bakery, confectionery and the table-top sugar replacement market…..